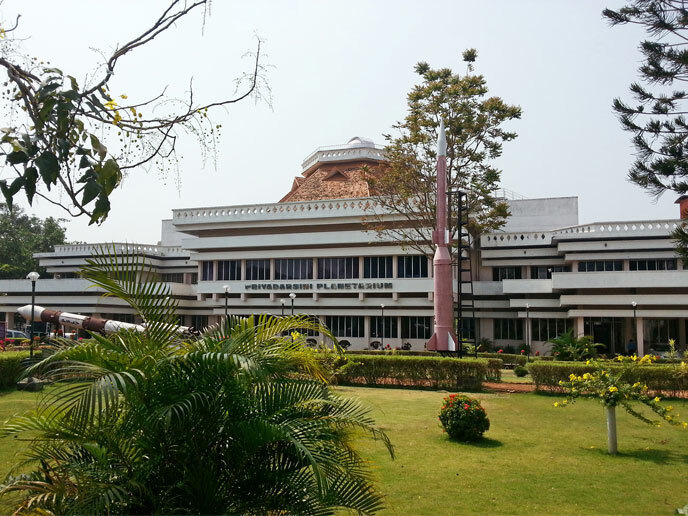 The Priyadarshini Planetarium is located in the Kerala State Science and Technology Museum. It is one of the best sophisticated planetariums in India. In this planetarium there is a Sky theatre, conference hall, workshops, sound studios etc. This planetarium can seat 184 persons at a time and has global standards. There is a very huge projector here which shows all the visible parts in the Universe. As the Universe is displayed in front of us very closely, we forget the actual distance of it from us. Several shows have been conducted here. One of the main show is the ‘Man and the Universe’ that deals with the origin and the stages in the development of astronomy, structure and feature of planets and the origin of Universe. Some other shows organized here include those dealing with the birth and death of stars, neutron stars, black hole, galaxies, moons, supernova etc. Besides there are some exhibits here which include models of rockets, airplanes etc. For those who are interested in astronomy, this planetarium is a must visit place. This helps us to know more about the Universe in which we are living.